Artificial intelligence (AI) systems known as ‘robo farmers’ could soon grow crops and tend livestock around Britain while their human controllers need never set foot in a field again, researchers say. Engineering staff at Harper Adams University in Shropshire are adapting farm machinery to create small autonomous tractors and harvesters to grow a hectare of crops. They will be monitored by drones and special ground-roaming vehicles and will be harvested next August. “There’s no technological barrier to automated field agriculture. This project gives us the opportunity to prove this and change current public perception,” researcher Kit Franklin told the Times. While analysts say automation technology in farming could boost farmers’ profits by an average of 20 percent, many are worried it could cost farmers their jobs. “It’s not about putting people out of their jobs; instead changing the job they do,” Franklin maintains. The capabilities of robot technology continue to improve while the costs fall, making the idea of a fully-automated farm in the near future truly feasible. 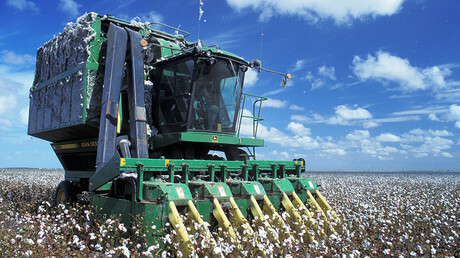 Technology for driverless tractors is already being developed. Case IH sells machines that use “Ordnance Survey positioning technology,” which means they can follow a programmed course over a limitless distance. At this stage, a driver must be sitting in the tractor ready to take the wheel. However, Case IH plans to bring fully-autonomous versions to the market within the next five years. Robots already feed and milk cows, and on some high-tech dairy farms even clear dung. The robotic farmhands are not constrained to land, either. 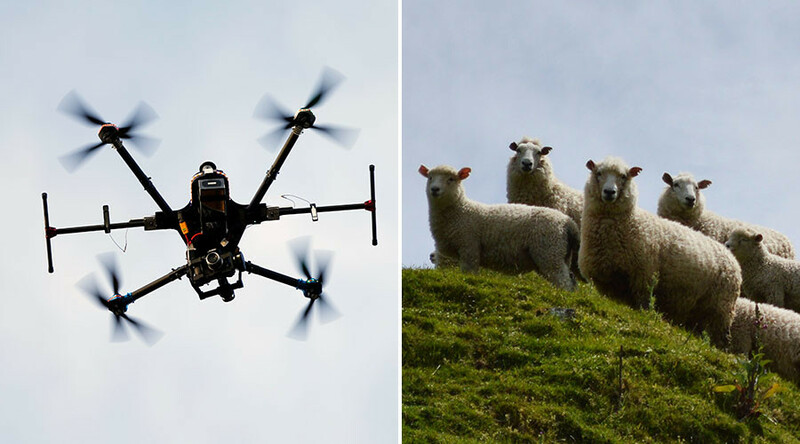 Drones can be employed to herd sheep. Enthusiasts say they are able to herd animals as quickly as a border collie, with less effort from the farmer. Sensors are being used on some farms to notify farmers by text message when cows are in heat, so a bull can be summoned promptly. One company, Dogtooth Technologies in Cambridgeshire, is developing the first outdoor strawberry harvesting robot. Trials on farms are due to start next summer. Founder Ed Hubert says the robots would do a better job of quality control than humans and could monitor crops for diseases. Meanwhile, researchers at Liverpool John Moores University are working on a project which uses high-powered lasers to protect crops from birds, rats and other pests. The ‘fence’ of laser light will provide an alternative to poison, they claim. Earlier this month, a group of MPs warned the UK government is not prepared for the imminent arrival of robots, which will “fundamentally” change lives, take over jobs and raise serious ethical issues. 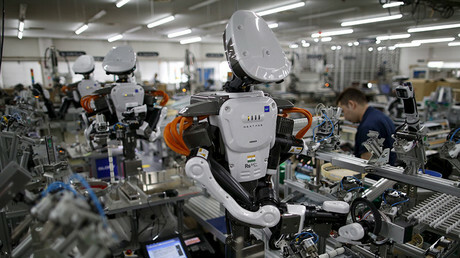 Research from various universities and think tanks has predicted 11 million jobs in the UK are at risk of automation. Manufacturing, wholesale and retail, and professional, scientific and technical sectors to be hit the hardest. Artificial intelligence such as driverless cars and supercomputers that can help doctors with medical diagnoses will soon be the norm, it has been claimed.